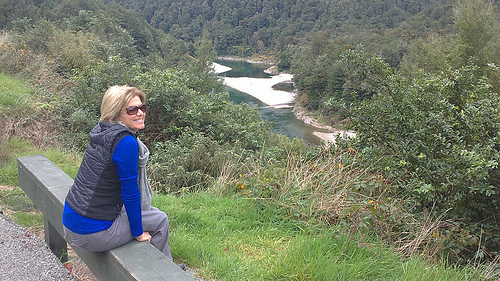 Travelling from Nelson to Fox Glacier is so rewarding for travellers. With so many delights along the way, this is the route many FIT travellers enjoy. If you set off from Nelson in the morning, it won’t seem too long a drive. Your first stop for a toilet break or refreshments will probably be at the settlement of Murchison. Have a coffee and a bite to eat at the River Cafe. Its a cheerful and comfortable place- and all the locals seem to hang out there. 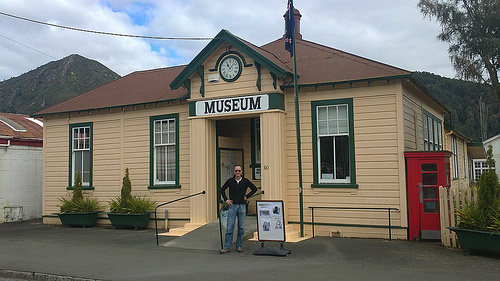 Now many of our visitors often exclude New Zealand’s small museums. Travellers often leave out the little museums to make time for the big ones. But we’d recommend that you see little cuties like this one. They often reveal a fascinating history. Travelling from Nelson to Fox Glacier will take you through some beautiful country. This is area is full of native bush, deep valley gorges and long winding rivers. 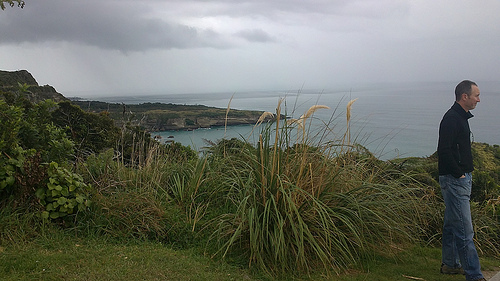 The lookout below was established to celebrate explorer, Thomas Brunner. We recommend not to rush through, but take your time. Just like in the spirit of the old explorers, such as Thomas Brunner. 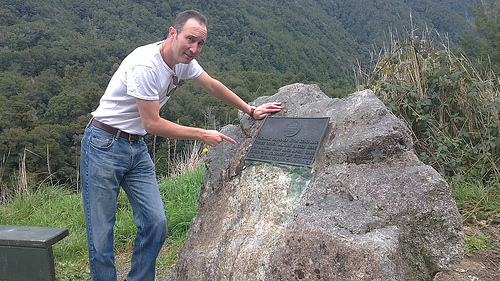 In 1847, Thomas walked (yes walked) from Nelson to Paringa and back. He did this whole trip within a modest 550 days! By the time he returned from this trip, he was skin and bone. Even his friends did not recognize him. Before reaching the West Coast City of Greymouth, you really must stop at the beautiful Punakaiki area. Before that Cape Foulwind your destination. It is such a beautiful walkway, plus a lighthouse. This is such a stunning, no matter what time of day. Some even say that it looks better on a grey and misty day. This is when the green colours really ‘pop’. 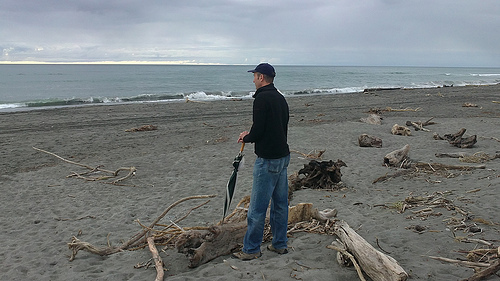 Visitors often stop for the night at Hokitika. In the summer season, this place has a great vibe and is famous for Jade carvings. We always opt for accommodation on the beachfront. 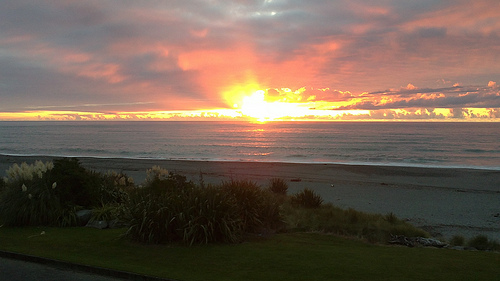 The sunrises and sunsets are spectacular here – especially in Autumn. Happy travelling from Nelson to Fox Glacier!